Based on attendee responses, your presentation of the information was outstanding and well organized. All attendees felt the workshop provided them with current and relevant information on how to enhance their interviewing skills for today's job market. Loretta is an excellent speaker and facilitator regarding Human Resources and workplace issues. Her extensive education and experience in HR with large, well-known Fortune 500 companies allows her to speak with confidence and insert real life situations into discussions. Highly recommended. Loretta has a classroom presence that motivates students to want to learn and excel. she was named the Instructor of the Year at Baker University in 1998 and was competitive again in 1999. 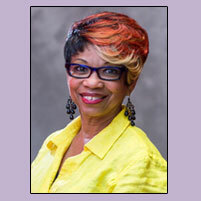 Loretta is a polished educator who brings a wealth of knowledge and talent to any classroom. The "Sales Presentation Skills" seminar was a learning experience for me. You did a great job and I enjoyed learning from you. Thank you for the effort you put into teaching the class. Loretta has a great background in Human Resources. She provided real-world experiences while also drawing out experiences of the attendees. She is extremely knowledgeable with the rare gift of making the information easy to understand. Loretta was the best teacher I have ever had. She is a wonderful instructor and role model. She made learning fun. Loretta made the class very enjoyable. Her work experience contributed to providing the class with a hands on approach. She clearly is an expert in this subject, which was demonstrated by her answers to questions asked. It is my opinion as well as others that took the SHRM Learning System course that Ms. Summers did an outstanding job of preparing us for the examination. Thank you for selecting a knowledgeable professional to instruct the course. Loretta is an excellent instructor. She shares real-life situations and experiences for every section of the course. She has a great way of obtaining open discussion from all class members. Great class! Loretta was an excellent facilitator and actually brought the class much closer. Loretta is by far the best instructor, presenter and mentor I have had in this area. The Summers Advisory Group, Inc.